The UNC pediatric operating room environment consists of six independent pediatric ORs, a cardiac OR, and a procedure suite where endoscopy, bronchoscopy and other minor procedures are performed. 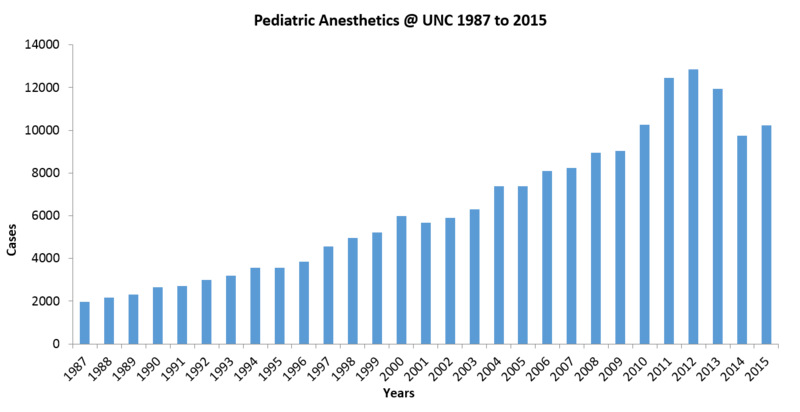 Over 10,000 anesthetics are provided each year covering all major surgical subspecialities including pediatric general surgery, cardiac surgery, orthopedics, plastic surgery, otolaryngology, urology, neurosurgery, ophthalmology, and pediatric dentistry. Under the guidance of the Division Chief, Dr. Sara Pittenger, fifteen pediatric subspecialty-trained anesthesiologists provide excellent anesthetic care in conjunction with a caring team of CRNAs and senior level anesthesia residents. Recent renovations in the perioperative area continue to make the UNC Children’s hospital a safe, family-focused area to provide high-quality pediatric anesthesia care. UNC is home to the only Pediatric Sedation and Consult Service in the region. The pain management component of the service was started in July of 2009. One year later, the Sedation and Consult Service was created and the 2 teams joined forces in order to improve safety, efficiency and oversight in pediatric sedations and to provide better inpatient pain management in children. The sedation and consult portion of the service was established as a safety initiative undertaken by the department of anesthesiology. Under the medical direction of Dr. Sara Pittenger, the service provides evaluation and management of nurse administered moderate sedation, consultation of pediatric sedation candidates, and monitored anesthetic care for high risk pediatric sedations or patients who fail moderate sedation. The service is staffed by pediatric anesthesiologists, two pediatric nurse practitioners and eleven pediatric specialty care sedation nurses. An average of 45 outpatient and inpatient sedations are carried out weekly ranging from MRIs, CT scans, LPs, EMG studies and PICC line placement. 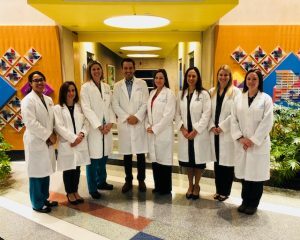 In conjunction with the Sedation and Consult service, the members of the pediatric anesthesia department take part in an inpatient Pediatric Pain Management service under the medical direction of Dr. Karene Ricketts. The pediatric pain service manages children with complex acute and chronic pain needs. Perioperative pain management is a crucial element of the pain service and involves postoperative narcotic management, neuraxial and peripheral nerve catheters, and multi-modal pain management strategies. Patients with chronic pain conditions including functional abdominal pain, cancer-related pain, sickle cell disease and IBD, are also cared for during their hospitalization and are provided outlets for continued outpatient pain management. 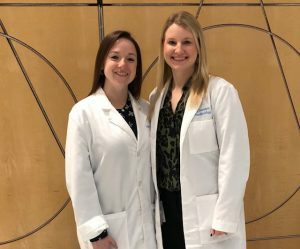 The UNC Pediatric Anesthesia Fellowship is in its fourteenth year, and has been through three successful accreditation visits from the Residency Review Committee. Dr. M. Concetta Lupa is the program director. All of our fellowship spots are included in the NRMP. The fellowship is an intense clinical exposure to all aspects pediatric anesthesia. The fellows also spend four weeks on our Pain, Sedation and Consult service and four weeks in our Pediatric Intensive Care Unit. Each fellow is encouraged to complete a scholarly project and four days/month of protected non-clinical time is provided for that purpose. 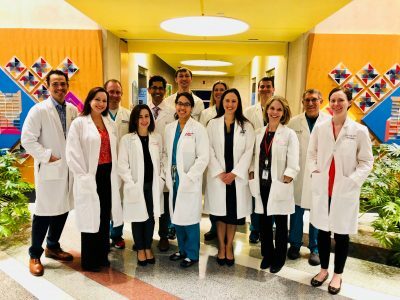 Fellows are provided many opportunities for learning, including a dense didactic experience, opportunities for simulation training, and supervision opportunities as they progress throughout their clinical year.